The mouse trap gods were listening when they designed the Snap-E Mousetrap. A much-needed improvement over wooden traps. While similar in concept to the wooden traps which people have used for decades, the SnapE Mousetrap is a much-improved version. These are one of the easiest traps to use and have an excellent success rate. The Snap-E Mouse traps are available in packs of 6, 12, 18 or 24 depending on how many mice you think you have in the house. Keep in mind that mice live in groups, there is never just a single mouse living in your basement. They will have brought the family in once they discover you have food or a warm place to live. With a smarter design, the Snap-E Mousetrap catches mice the first time. The Snap E mousetrap’s spring-loaded bar is set to just a 90-degree angle, so it has a shorter distance to travel before making contact and killing the mouse. This is where the design engineers have made a huge improvement over the old models where you pulled the wire back all the way to 180 degrees. Often the metal bar would miss the mouse & the empty trap would go flying across the room. With the Snap-E’s design, the bar takes half the time from trigger to impact ensuring a quick, clean end. Reusable Materials Make This Mouse Trap a Great Value. The Snap E mousetrap is made of thick polystyrene plastic and was designed to be re-used. Polystyrene is actually the same stuff used to make light switch covers, so it is also very easy to clean. 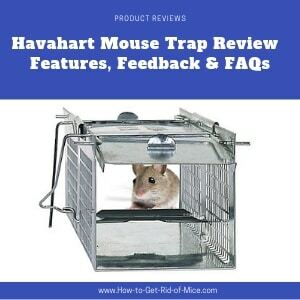 Once the trap has caught a mouse, just take the mouse & trap over to the trash (preferably outside) and press the release bar on the other side, so the mouse falls out. You never have to touch the mouse. To re-use the trap, you can just re-bait it & set it out again. If you need to clean it up once in a while, just head on over to the sink & spray hot water on the trap to wash off any remaining bait or other gunk. Dry it off with a paper towel, then reset the trap with fresh bait and you are ready to continue catching mice. Fresh bait is recommended, so the scent will be strong enough to lure the next mouse into the trap. Cup-shaped bait holder allows you to use a very small amount of bait which prevents the mouse from stealing the bait. Very easy to release without touching the mouse. To be objective, I tried to find fault with this product, it was extremely tough since I have not had any problems. A handful of folks reported that very tiny mice did not trigger the trap to snap. This can happen with all mouse traps, you just need to know the tricks to set the trap with the right bait. When you have tiny mice, you need to use the seed in peanut butter trick. Place a very small dab of peanut butter in the center of the cup, then push a small piece of seed, nut or chocolate in the center. The mouse needs to pull on the bait to eat it. This results in the more weight being applied to the trigger and better results for trapping very small mice. The Snap-E mouse trap is a much improved old-time wooden traps. There is a huge success rate with this particular mouse trap. The quick & strong spring trigger helps to ensure no mouse will escape. They are also super durable, so will last a long time. My favorite improvement is the fact that the traps are easy to use. I could never quite set the wooden types without a few bruised fingers and a lot of frustration. 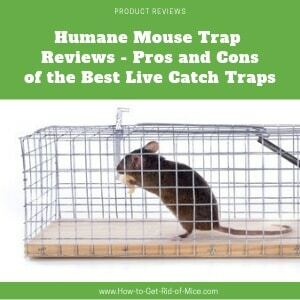 But these Snap-E traps make getting rid of mice an easy task – easy to set, easy to release & easy to reuse. This decision is a snap.